I can't even tell what that lolly would be like to eat! What's its go? I'm eating homemade chicken curry pies. Sticking to the plan, more or less, I had scrambled eggs with some cheese and onion, No toast. 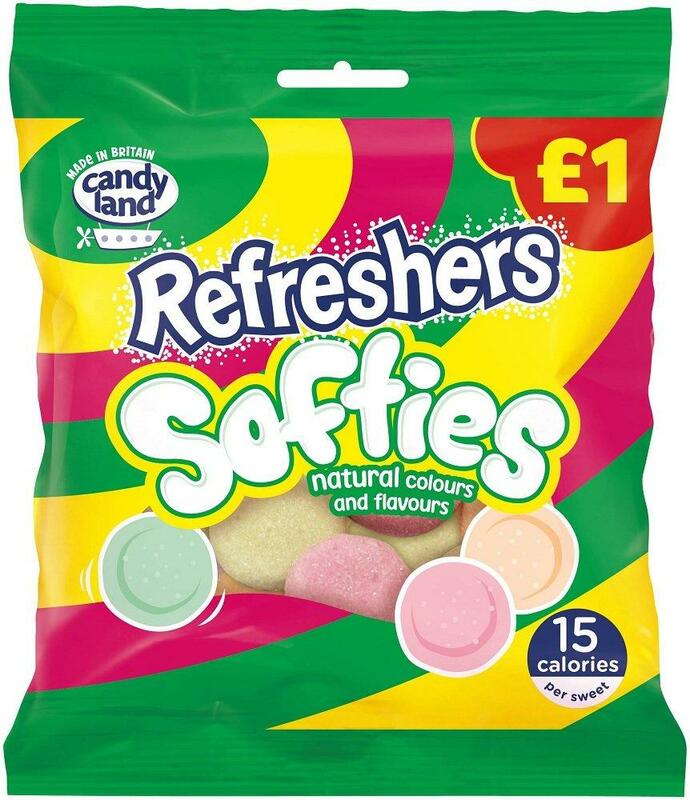 And at 15 calories per sweet you can eat the whole bag guilt free! I went to a dental appointment across the Bay and they forgot to call me and tell me the doctor wasn't coming. There went my hour lunch so I picked up a 6" veggie sandwich from Subway and ate it at my cubicle. The smell that emanates from every Subway outlet is revolting. It is, isn't it? I'm never sure exactly what it is. The bread there is terrible. ORORORO wrote: It is, isn't it? I'm never sure exactly what it is. Did you even look at the image of the candy you posted to start this thread? They should have named it Intestinal Quagmire, but I doubt it would've sold as well. And you won't need to buy toilet paper for the week. My wife started getting the stuff to make banana pudding but when she saw lemon flavored Nilla wafers, decided to go in another direction. A new kind of trifle! I'm thinking of sending the recipe to one of those magazines at the drugstore that has receipes for things you can make from Jello pudding mix. bobzilla77 wrote: My wife started getting the stuff to make banana pudding but when she saw lemon flavored Nilla wafers, decided to go in another direction. A new kind of trifle! You should. Maybe you guys will win a lifetime supply of free lemon pudding. I used to hate Subway, but when the kids were little, it was the only sandwich they'd eat because they were so bland. I guess I've gotten used to it through the years. Their tuna subs are the only sandwiches I'll order there. I guess I'm still a kid, because I don't really like Subway since you can't really order stuff without half a ton of vegetables. I'm ashamed. I do eat these though... cooked.